Speak Percussion joins us at MPavilion for the second ever concert of its Before Nightfall series; a series in which Speak Percussion returns to its friendship and collaboration with Tony Buck of The Necks after having performed alongside the band as part of Tectonics at Adelaide Festival in 2016. 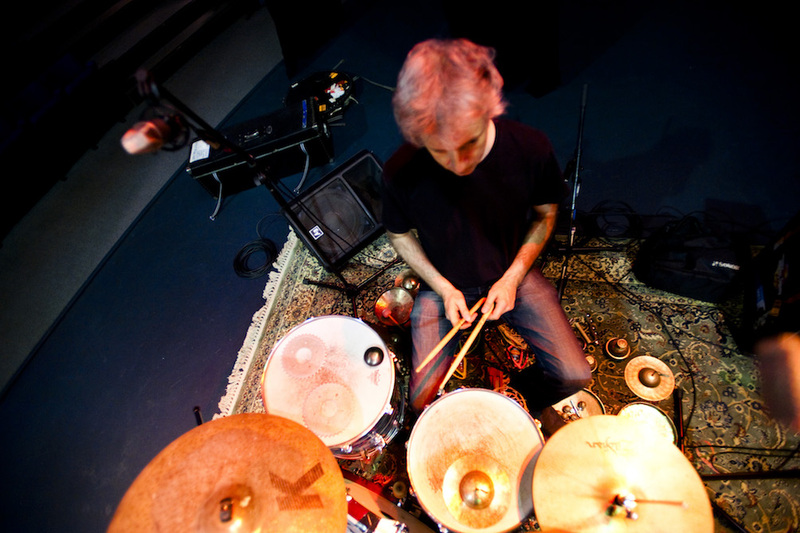 Before Nightfall is a series of new artistic encounters between Speak Percussion and invited guest artists and this meeting sees Matthias Schack-Arnott join with Tony Buck. This encounter, in the same vein as subsequent and previous Before Nightfall events, will occur across the course of a single day, take place in a new space, and ultimately culminate in a performance and a recorded release. Come along to MPavilion to witness it live. Update: Eugene Ughetti was originally part of this event but is no longer take part for personal reasons. This event was perviously planned to begin at 7.30pm, it will now begin at 8.30pm.